Welcome to our Land of Labradors! 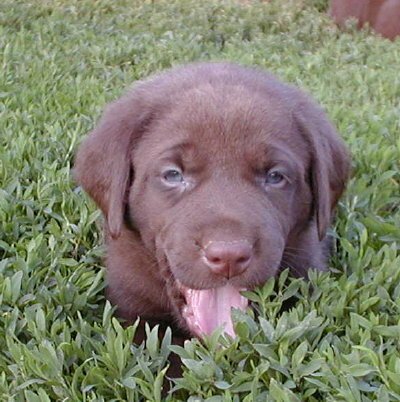 We have been breeding, training and loving Labrador Retrievers since 1990. 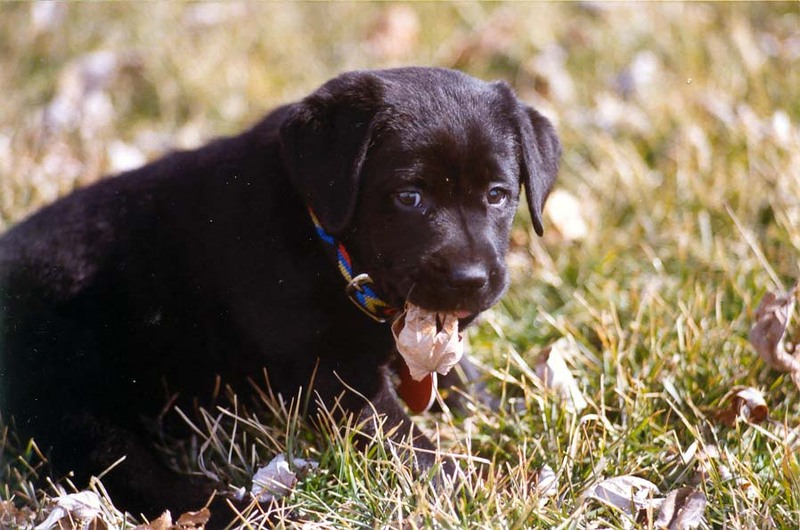 We strive with every breeding to produce the best quality puppies; puppies who meet the breed standards and also have family friendly temperaments. 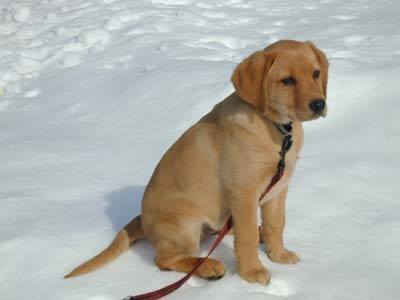 We have studied the breed for years and do our utmost to protect our program and our puppies from hereditary diseases. 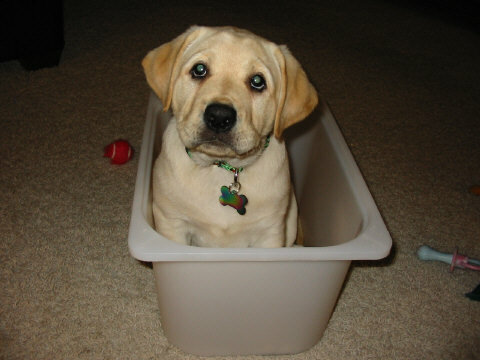 All our adult dogs are screened against hip and elbow dysplasia and eye disorders. We do not use any dog in our program who has not been thru the screenings. 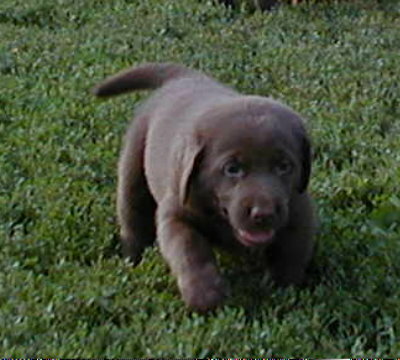 As a result of our careful work up front, we can produce wonderful healthy, gorgeous, chunky, broad headed puppies. We place a strong emphasis on temperament as we want our babies to be lifelong family members. Use the BioSensor method of neurological stimulation and a program of early socialization and enrichment to raise confident, well-adjusted babies. 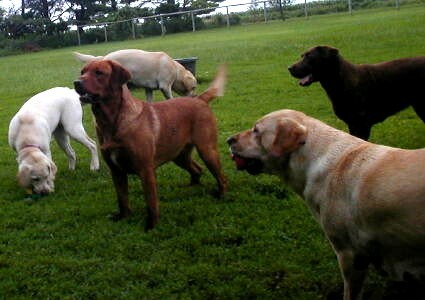 Dogs are our life - we eat, sleep and breathe dogs, between the labradors and our boarding kennel, the whole family works full time making this a wonderful place for dogs and their owners. 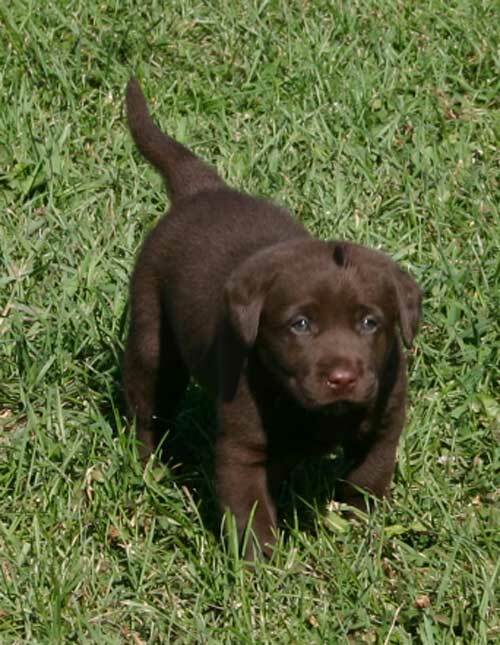 Each litter is carefully planned with the goal of improving structure, temperament, and versatility. We are honest about the health problems in the breed. We are selective about potential owners and have an excellent contract. 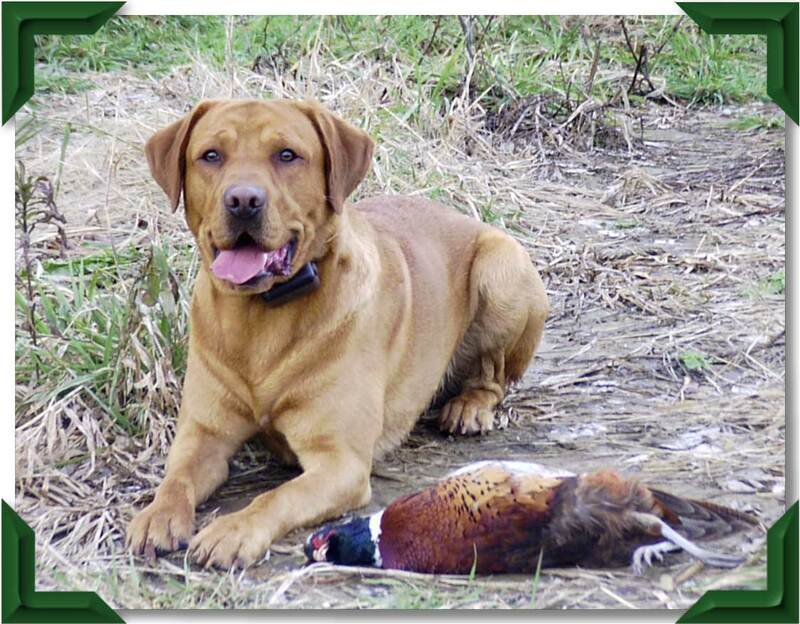 We will take back any pup we have bred for any reason throughout its lifetime. We temperament test our puppies and study their behavior and attitudes in order to make the best match for each puppy with its new family. 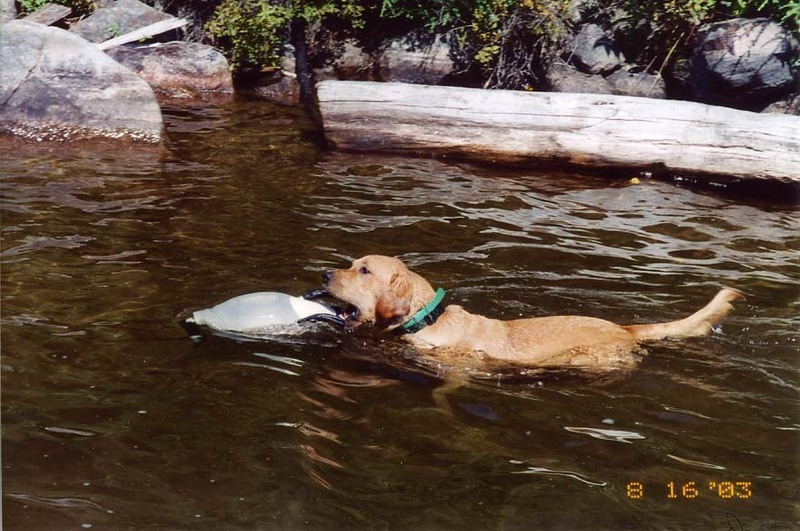 We introduce our puppies to water and birds at an early age to help determine their capacity for field work.